Exploration no. 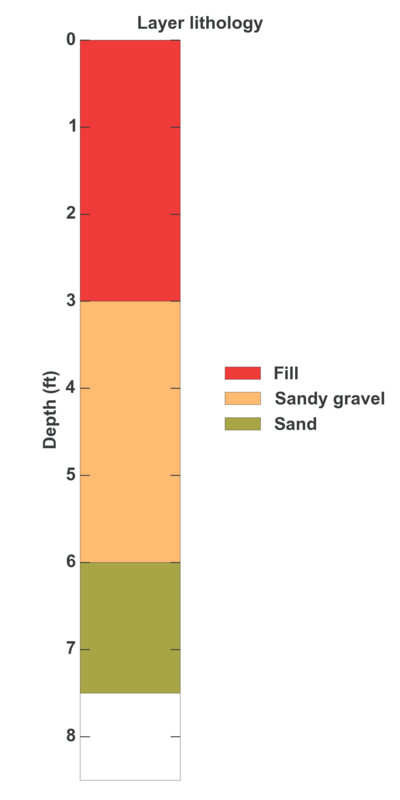 133341 is a Test pit (depth 7.5 feet) named: TP-1 (BHP-1) described in subsurface document no. 59037. The document, a report titled WSDOT-Potlatch Maintenance Yard Environmental Assessment was prepared by Pacific Groundwater Group on 10-05-2005 for a Industrial project.